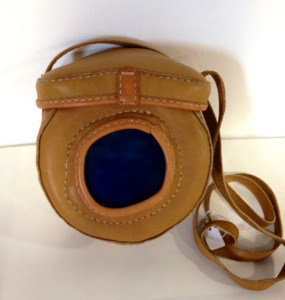 Arleen Olshan, master leather crafter, has worked in this medium for over 50 years. She has traveled the country selling her work and in 2009 her dream to have a studio, gallery space and collaboration with community artists came to fruition while founding the Mt. Airy Art Garage with her life partner Linda Slodki. Arleen is also an accomplished painter, having a BFA from the Pennsylvania Academy of the Fine Arts.